All societies have a religion, even if its atheism. There are several things to consider when working a religion together. 1. Many gods or one god. 2. Go through the list below and make your decisions. A. Cast of Characters - Who is in the game. B. Mythical Creatures - What kinds of creatures are there, population, and attributes. C. The Myths - What are the myths and what do they mean. 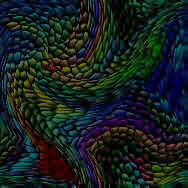 D. Strife - What is the source of strife in this religion. E. Magic System - Does it have a magic system and if so, how does it operate. F. Family Tree - Most pantheons have a family tree showing how all the gods are related. G. Divinity - What is the nature of divinity. Note: You may want to stick to the KISS (Keep It Simple Silly)principle...IE no more than 16 gods overall. Please see my religion template at the bottom of the page. Why would I mention calendars here, well, many calendars derive from religions. Most religions have an astrology based on the stars, hence the need to cement your astronomy. From there you get the signs based on patterns in the stars. Then you get the dates and all based on planetary, lunar, and solar movements in the sky. With these things decided you can make your calendars. One other detail, Calendars change between religions because they rely on different dates. If your going to have more than one religion and/or calendar, decide the main base one before you date all the birth dates, important event dates, and the like. 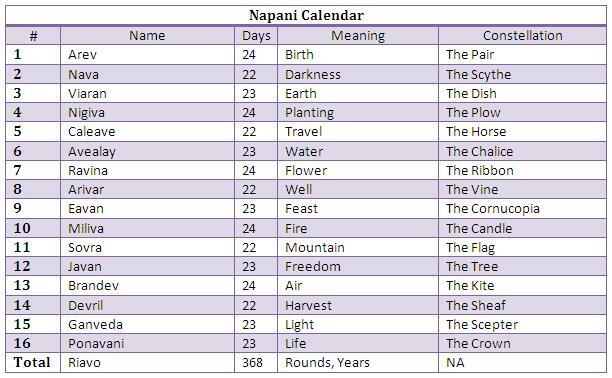 Below is MY calendar for the "Napani" religion. It is the main calendar used in business. It has 16 months. 368 days. It starts at the winter solstice in the north. 0 year is the year the last big meteor struck the planet. The current year is 6336. 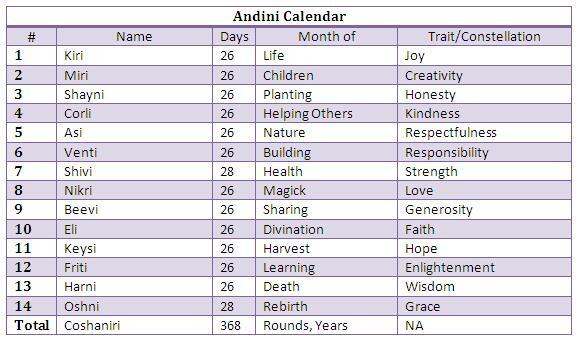 This is the Andini Calendar. It has the same number of days and it begins the same time as the Napani calendar. It has 14 months related to 14 virtues and 14 meanings. This calendar begins at year zero the day the religion was declared which was 3532 years ago. *Limit the number of Gods to 16 or less for sake of ease.